This was Phil Ruffin's proposed replacement for the soon to be demolished New Frontier. The project was expected to open in early 2009. 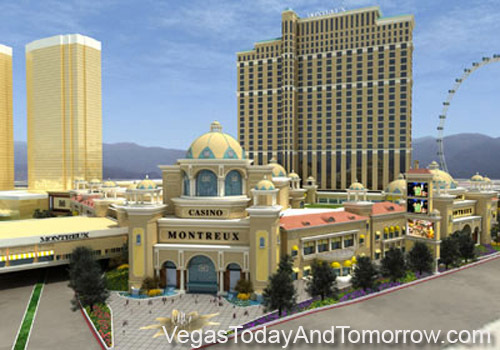 Montreux will be a 2,750-room "Swiss- themed" hotel with a 104,000-square-foot casino and massive shopping mall that will link directly to the Fashion Show Mall. 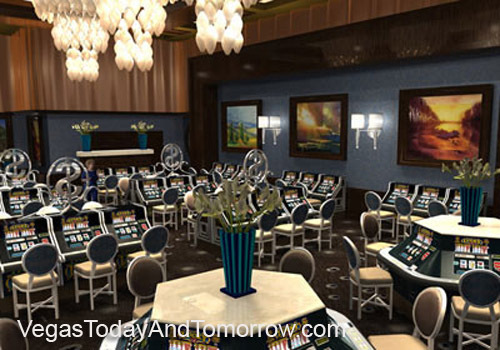 It will host an array of restaurants, bars and nightclubs, and a 465-foot-tall observation wheel (similar to the London Eye), that scoops riders from the floor above the casino. Montreux's strip frontage is 1/4 mile long and is directly across Las Vegas Blvd. from the Encore at Wynn Las Vegas project. Ruffin has 38.5-acres left after selling 3.5-acres to Trump for the twin Trump Towers condo-hotel project located at the back of the property. 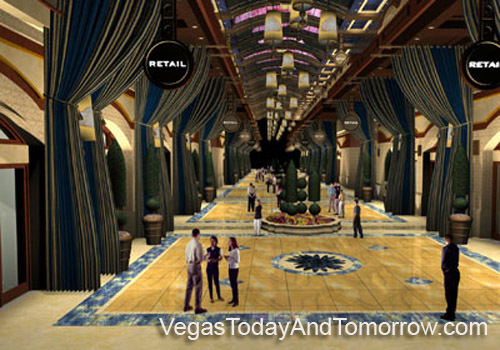 The upscale resort will compete with the likes of the Mirage, Mandalay Bay and Paris, and has a solid footprint on the Las Vegas strip. It will use jazz as a draw. Ruffin says, "We don't really have a Strip casino that advertises good jazz music." A second Montreux Jazz Festival would be a yearly event at the resort. This is also the sixth planned location for a giant observation wheel in Las Vegas. Five of them are on the Dreams page as cancelled projects.